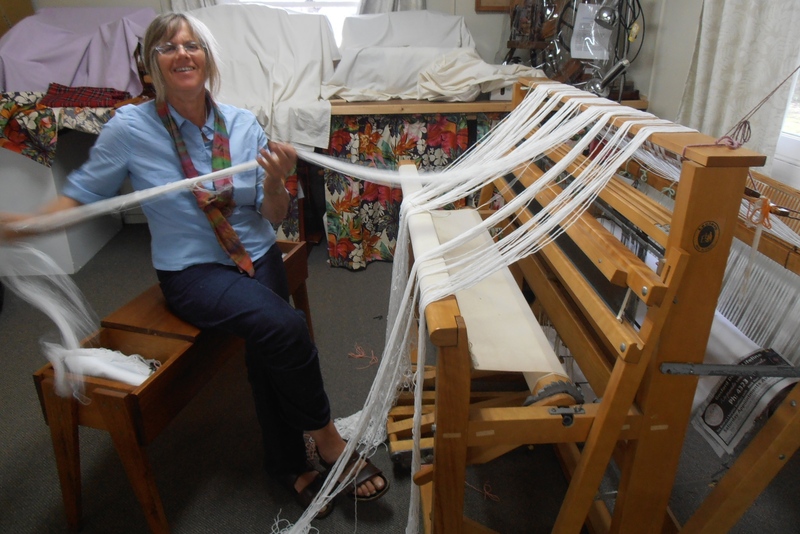 Margaret has just started warping up the big loom. There is still a long way to go before any actual weaving is done. Margaret plans to make a knotted rug. Knotted rugs are made using the supplementary weft technique, where a design is created by adding extra weft yarns (in this case, knotted yarns), without disturbing the structure of the weave. We look forward to seeing Margaret’s design as it takes form.